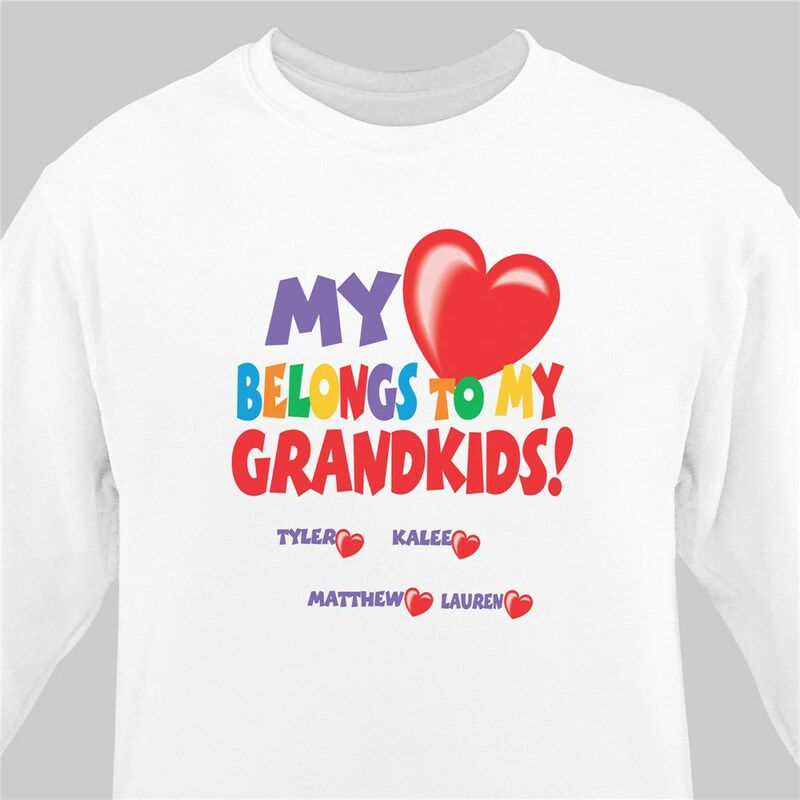 Let Grandma, Nana, Mother or Aunt show off all the little ones that fill her heart with joy & love every day by giving her one of these thoughtful Personalized Grandma Shirts for Mother's Day, Valentine's Day, Sweetest Day or her upcoming birthday. A personalized gift is one that is always well received. Your Custom Printed Love Sweatshirt is available on our premium white cotton/poly blend sweatshirt, machine washable in adult sizes S-3XL. Includes FREE Personalization. Personalized your Grandma Sweatshirt with any title & up to 30 names. I get compliments all the time when I wear this sweatshirt! It is great to have all the grandkids' names on it. They love finding their name! GiftsForYouNow.com has many Personalized Sweatshirts for every gift giving occasion. Create a personalized sweatshirt gift today and we will personalize it for FREE. Create a thoughtful Personalized Valentines Day Gift for your Grandma, Mom, Aunt or Best Friend for a cheap price at GiftsForYouNow.com.